It was a crispy autumn morning last week when I visited L’Air du Temps for the second time in just a few weeks. 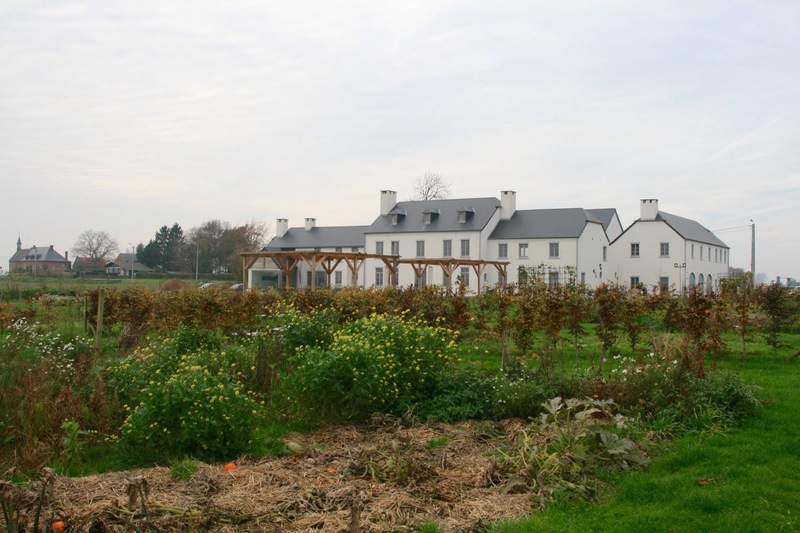 This time I had come to interview Sang-Hoon Degeimbre, the chef of this two Michelin star restaurant in Liernu, around 50 kilometres outside Brussels. I was intrigued by his story, particularly because of the inventiveness of his cuisine and also after having listened to his presentation at Chefs Revolution in Zwolle. How could such an inventive and talented chef be self-taught? What was the driving force behind his creativity? I was also wondering what led Sang-Hoon to open the restaurant in Liernu, when he could have moved his restaurant closer to a main city. But driving to the restaurant, I realised that this question would be redundant because of the beauty of the Wallonian countryside and the purity of the air. “Sometimes when I come here early in the morning I just head to the garden and just look at the sunrise and the countryside and that is really something special,” Sang-Hoon tells me as we walk around the garden. 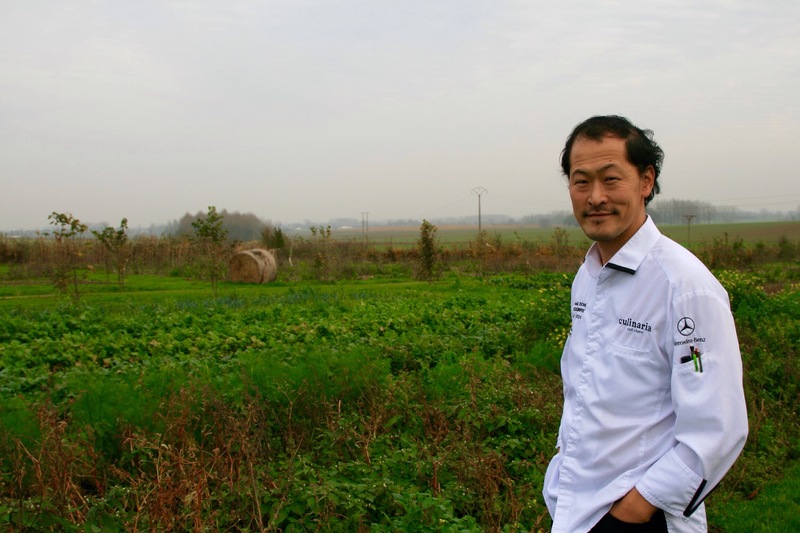 “But I also need to feel the buzz of a city and that is why I live in Brussels.” The garden, were all the produce for the restaurant is grown is an essential part of Sang-Hoon’s cuisine. He really wants me to meet the gardener Benoit Blairvacq and in fact phones to see whether he would be coming to the restaurant garden today. He’s not but we plan to meet with the banker turned gardener on another day. “I always tell my team that you need to keep an open eye and have an awareness for what’s around them. You need to keep an open mind and to learn to apply things from everyday life. Everyone has enormous potential to use their intelligence to capture what they know and be creative,” he says. “It was a little bit weird to open a restaurant without having trained in a restaurant kitchen but I was a sommelier and had been training my palate every day. To be in the kitchen that night was the greatest challenge of my life. It was the greatest bluff of my life and it has been going on for 17 years,” he said. He still remembers the opening night vividly. “It was a Tuesday on 1st July. I opened at 7pm and there were 25 people in the restaurant. I did not choose a simple menu but went for a la carte. And on that night every person chose something different. I can still feel the smell, the feeling of that night and where the people were sitting. I remember everything but if I had to do it again, I would follow the same route,” he said. 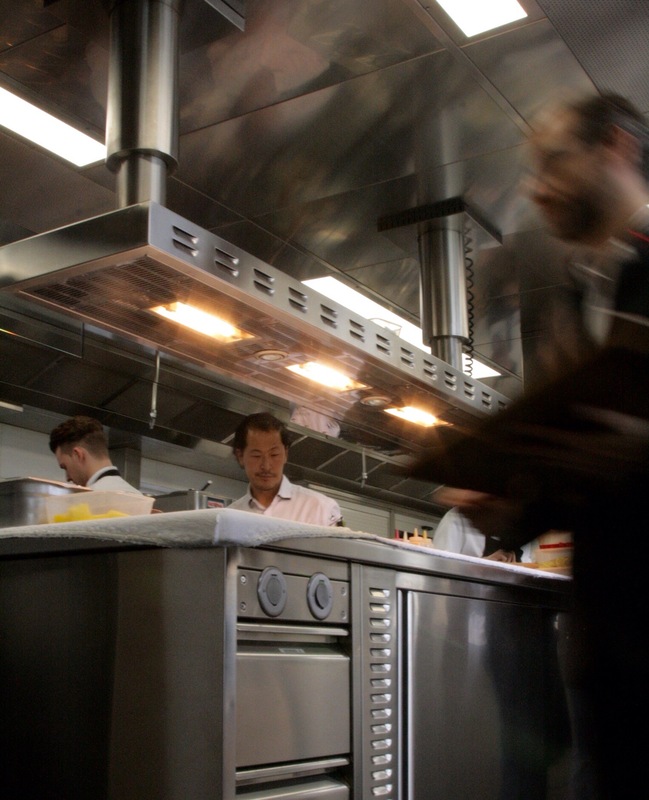 At Chefs Revolution, Sang Hoon said he did not know how his cuisine will look like in future. I ask him where he wants to go. “I know the point where I want to go. You can take a left turning or a right turning but the result may be totally different. I know my goal, but I do not yet know the way,’ he tells me. I ask what inspires his creative process. “At first I was interested by wine and that was the first way I started creating dishes. I started to become interested in everything. I started to train to work with spices, seafood, seaweed but did not find my way. I thought that I had to try and find my own style. I needed to have the techniques because I did not have any. It was here that I met Hervé This, the father of molecular gastronomy. Through him I found some answers to many of my questions. And I started to understand that I did not need recipes but could create my own. Step by step I evolved and when I began to reflect on whether I needed to have my own garden or not, I started to realise, that I could not find nice vegetables in the different shops I was going too. It was at this moment that I decided that I needed to start producing my own vegetables,” he says. Use of social media – is it killing creativity? 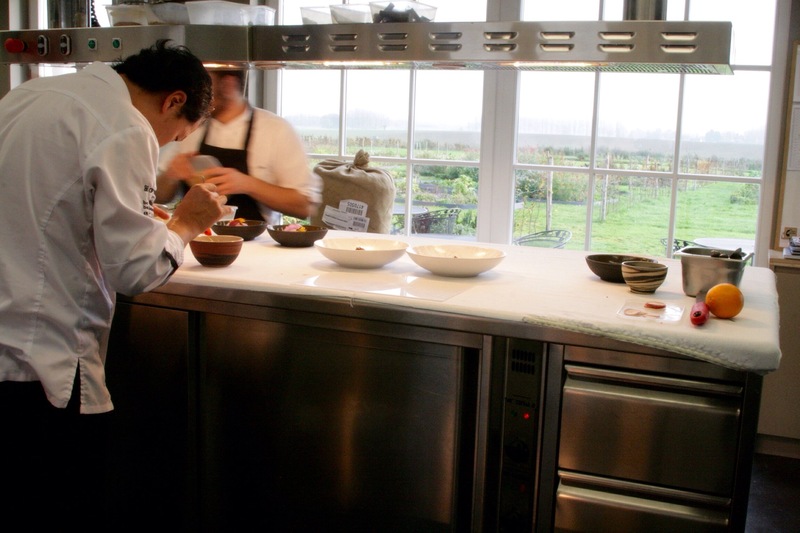 The Belgian culinary scene is very rich and Sang-Hoon believes that it is time for the country to communicate about its richness. “The Flemish have done it rather well. Now it is time for the French part to also communicate about our cuisine. Belgians are humble and friendly and this is a characteristic of the country. We have to communicate this to the outside world,” he tells me. I also ask him about the trend of many of the top end restaurants to grow their own produce. “We also need to go back to the basics. We cannot evolve if we do not take care of the foundations. I consider chefs in high gastronomy like formula one drivers. We need to give the technology to the people. I always say we are just cooks and not the most important of the value chain. The way we cook is not necessary, our style of cuisine is not necessary. This is cooking for leisure and it is for this reason that we always need to remain humble,” he said. Sang-Hoon tells me that the main trend in the gastronomic world is to use local produce, more vegetables and to eat healthier. The next trends will be to take care of waste. “We have a lot of vegetables but what do we do with them? That is the reason why we ferment and preserve them. For me it is difficult to imagine what the future will be because there is so much information which we do not know and which might have an influence on what happens in future. For sure we need to take care of the environment. Rene Redzepi is working with ants and insects. I am also working outside of the restaurant with insects. For me there are two ways to eat, for necessity or for leisure. For necessity, I have created a new line of basic food with protein from insects. We need to think of what to eat when the world has 9 billion people to feed,” he tells me. Sang-Hoon Degeimbre working in his kitchen. I observed the work that went on in the kitchen, taking photos and trying not to stand in the way. Then, once he finished the service, we continue our discussion before he took me for a walk in the garden where he showed me the different areas where flowers, herbs, vegetables and fruits are grown. As the temperatures at night are starting to get lower, all the vegetables have been picked except for a few cabbages. He shows me a wild part of the garden where one day he wants to grow rice, a first for Belgium. He picks up a tiny herb and tells me this is a baby pineapple. I bite it and get an intense flavour of pineapple. It is this inventive use of produce which makes Sang-Hoon’s restaurant so special. He uses modern techniques to showcase his produce, but all in all, it is the clever use of garnishes, not used just to decorate but to intensify flavours which lifts the dishes to the extraordinary.